Trying to change the world when you’re just one person is an overwhelming prospect. But instead of getting frustrated when you see you aren’t able to make a tidal wave of change, focus on creating small ripples instead. Best-selling author Ilchi Lee shares some ideas about how to be a good citizen of the world in his books Earth Citizen and Earth Management: A Dialogue on Ancient Korean Wisdom and Its Lessons for a New Earth. 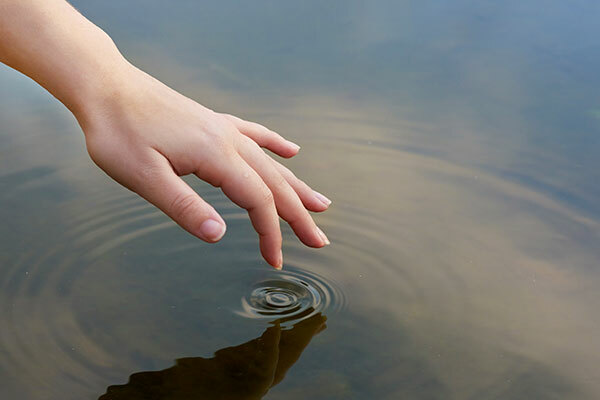 Here are five ways you can make ripples in your own life that will spread throughout the world. Nothing can give you a greater sense of appreciation for the Earth and what it can do than growing something. Whether you live in a rural area with plenty of backyard space for a full garden or you are an urban dweller with only a rooftop or windowsill to work with, it’s possible to grow a vegetable or herb. If you need to grow your produce in a small container, that’s ok too. Just try it, and watch your wonder grow with it. You’ll feel inspired to take better care of the Earth by not littering and cleaning up litter when you see it. Or you might feel motivated to begin composting. If you have enough for a bountiful garden, you can increase the ripples you make by sharing some produce with a stranger or a loved one. In his younger years, Lee learned a greater appreciation for the Earth by planting pumpkin seeds on top of a makeshift landfill, and he found he could feel and give joy by sharing those pumpkins. One of the biggest sources of negativity and discord in the world comes from politics. We often disagree with—and sometimes downright dislike—people who do not think as we do. Instead of letting those differences drive us apart, however, we should let our similarities draw us together. It’s only when we think of each other as all fighting for the same overall cause that we’ll truly be able to work together for the good of humanity and the planet. Lee addresses our basic similarities in Earth Citizen. “The way I see it, there are really only three things that people want: health, happiness, and peace. When we fight over religions or political ideology, we are simply fighting over the ways to get these three basic things,” he wrote. Remembering there is more than one way to achieve those goals may help you to focus on our similarities instead of differences. If everyone were to do that, this world would be a much more peaceful place to live. Everyone is driven by purpose in some way or fashion. That purpose might be to work toward their dream career, to save up enough money for the car they’ve always wanted, or even to look important to other people. While you don’t have to abandon your sense of purpose altogether, to make positive ripples in the world, perhaps you should consider redefining it or expanding it. Once your purpose changes – once you purposefully seek to be the best person you can be for the world instead of solely for yourself—you’ll notice a change in your thoughts and your actions. You’ll become less self-involved and start working for the greater good. Many of us have good relationships with our families, and we likely have a true friend or two we have in our corner as well. But it’s time for many of us to expand our small circles. It will help us feel more connected to our fellow citizens. And those relationships can turn into collaborations that may ultimately help us solve the problem of how best to be stewards of this planet. “When we are not alone, but together, when we have harmonious relationships with the people around us, we can become happier, and we can better solve the problems we face,” Lee said in Earth Management. Creating and fostering a sense of cooperation, instead of singularity, will benefit our world in multiple ways. While many of these tips are things you can do, this one focuses on what you should avoid. Watching too much news coverage can be counterproductive to your efforts to make a positive impact upon the world around you. “Pick up a newspaper or flip on the evening news, and you will be bombarded with information from innumerable experts telling you that the biosphere is crumbling, the economy is on thin ice, and our educational system is failing,” Lee writes in Earth Citizen. The negativity of all the news being reported can make you think it’s a lost cause to try to do anything positive. But that’s false. Your small acts can have a big difference in someone’s life or for the prosperity of the Earth. And that’s worth the effort. So before you turn on that television and start feeling hopeless, go for a quiet walk in nature instead and recommit yourself to being a good citizen of the world. 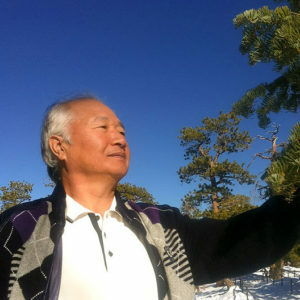 Ilchi Lee is a pioneering Brain Philosopher and Educator. He has developed brain training programs that are widely used in many organizations around the world. In his homeland, South Korea, his programs have been adopted as mind and body training methods in the Ministry of Education, Samsung Corporation, and the Korean Army. Currently, Ilchi Lee focuses on research and educational innovation, and on the furthering of world peace in collaboration with global leaders. Ilchi Lee has spent several decades investigating ways to develop the potential of the human brain. Through his life-long pursuit of brain-centered training methods and programs, hundreds of thousands of people around the world have achieved the benefits of healthier bodies, improved learning, business success, and personal empowerment.